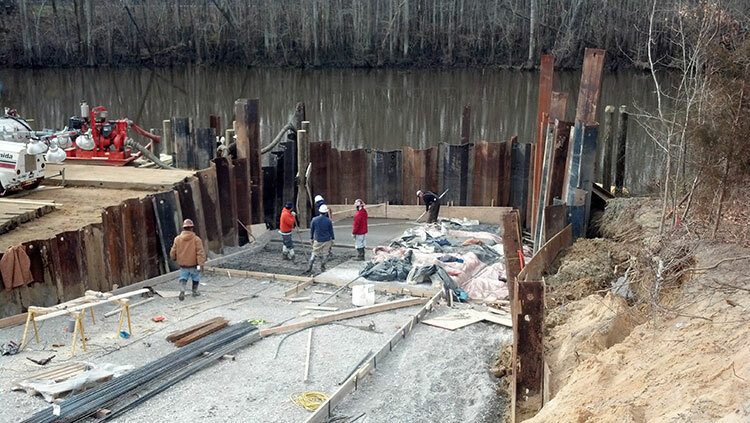 The project included the removal of two existing boat ramps. Site Development of 1.5 acres including clearing, grubbing, excavation, import of fill, establishing new grades, parking lot sub base, curb and gutter, and asphalt paving. 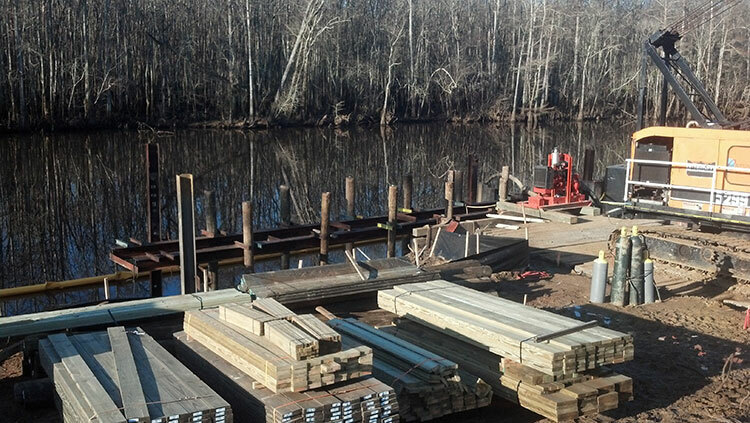 A 48 foot long timber pier with 25’ long timber piles, stringers, caps, and wood decking. 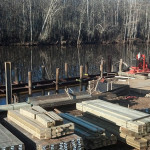 A 60 foot long timber approach pier with timber piles, stringers, caps, and wood decking. 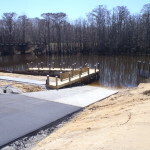 A CIP concrete boat ramp and CIP concrete ADA sidewalks. 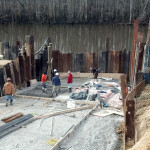 The CIP boat ramp was placed using a temporary cofferdam. 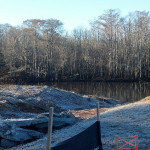 The site package included installing 2 each infiltration trenches covering 1950 SF of area. 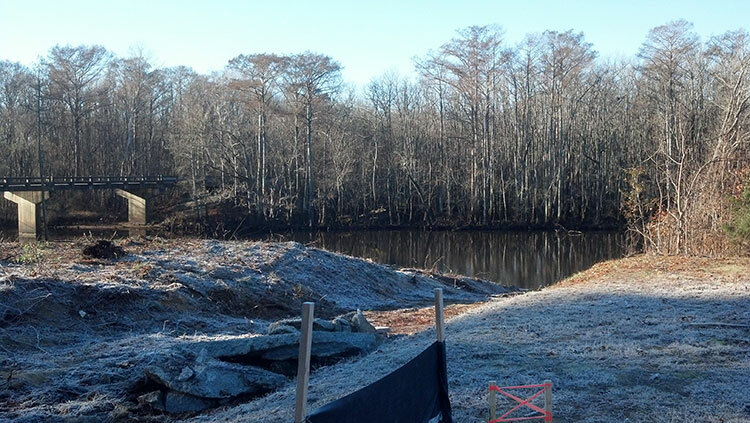 In addition to this 170 Lf of RCP pipe was installed to provide road drainage. 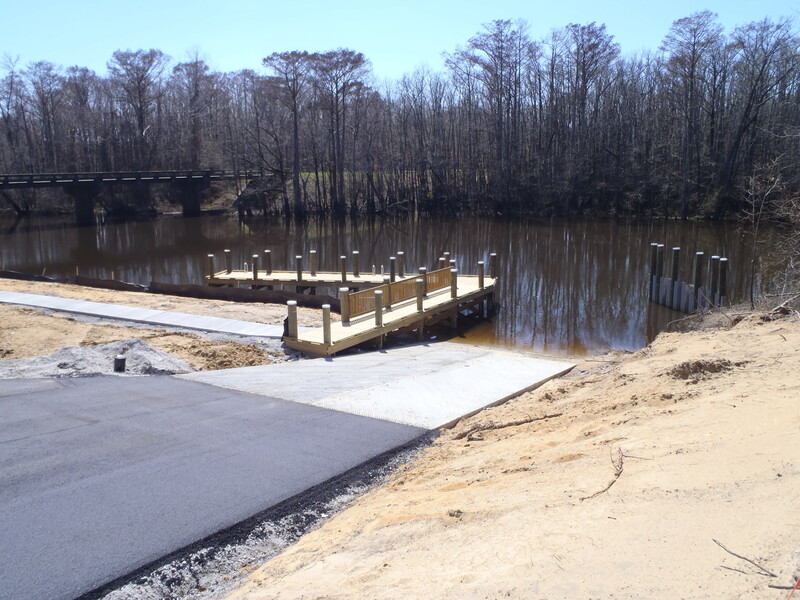 1.5 acres of site development including a new boat ramp, ada sidewalks, an approach pier, a courtesy pier, and a 24 space parking lot for boaters.